It is a great joy and honor to serve the priest in the celebration of the Mass and other liturgical services. 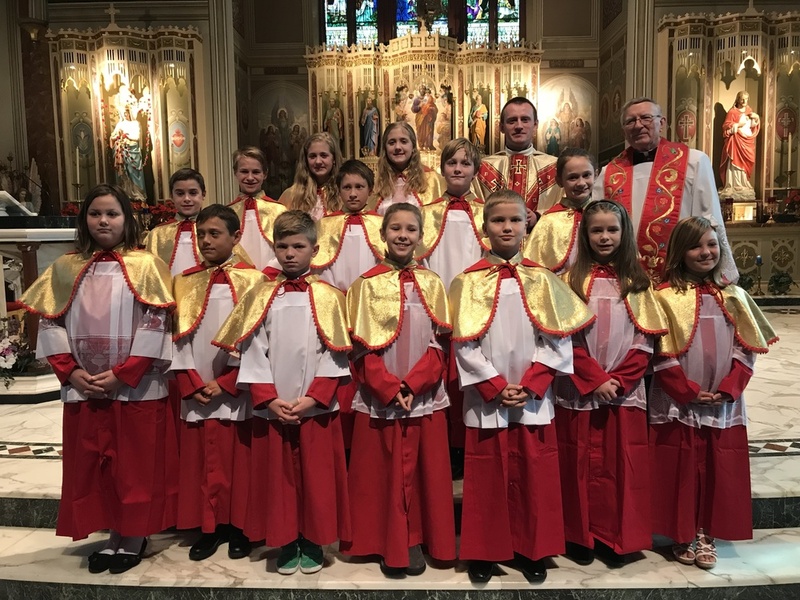 This privilege is given to the 26 children who are members of the altar server ministry at St. Joseph Basilica with Rev. Gregory Chodkowski as coordinator. If your child would like to be an altar server, training is provided for all who register for this ministry. The lessons provided by Father Gregory begin in October and will be completed by November when the children will be installed as altar servers on the Solemnity of Christ the King. The altar servers are invited to attend three outings during the year to acknowledge their service to the church.